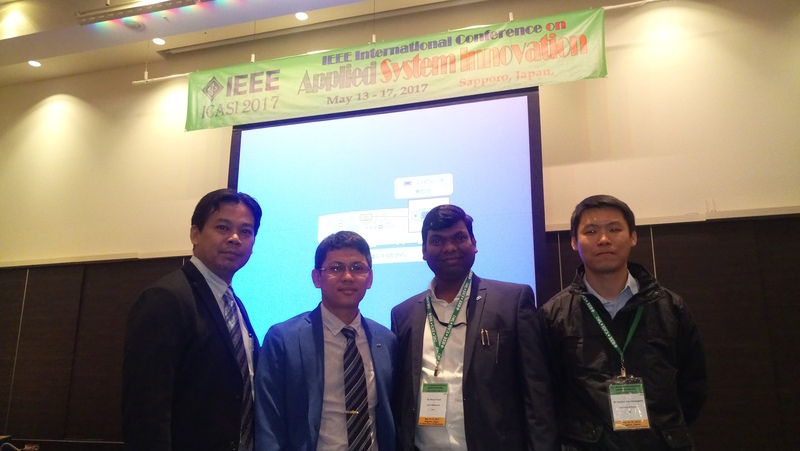 The paper entitled "Speed Control of IPMSM Motor Drives using Model Reference Adaptive Technique" by Dr. Sarayut Amornwongpeeti, Dr. Oleh Kiselychnyk, and Prof. Jihong Wang has won the First Paper Award from the IEEE International Conference on Applied System Innovation, which was held in Sapporo, Japan from 13th to 17th May 2017. 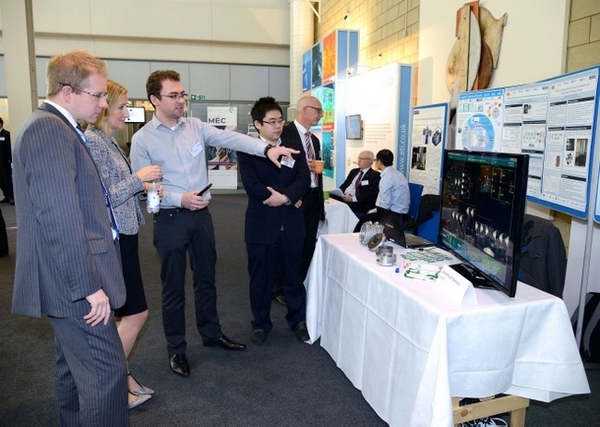 The paper reported the recent progress of the Innovate UK funded research project of "Adaptive Electric Drive Controller" in collaboration AVL Powertrain UK Ltd. The new control strategy presented in the paper leads to more energy efficient operation of IPMSM motors with potential applications to electrical vehicles. 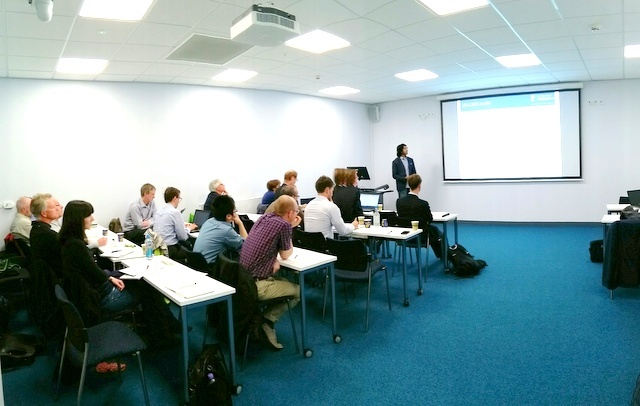 The Midlands Power Group, a specialist IET section hosted the annual IET Prize Award Evening for the midland undergraduate and postgraduate student projects in the evening of 8th March 2017 at the University of Warwick. 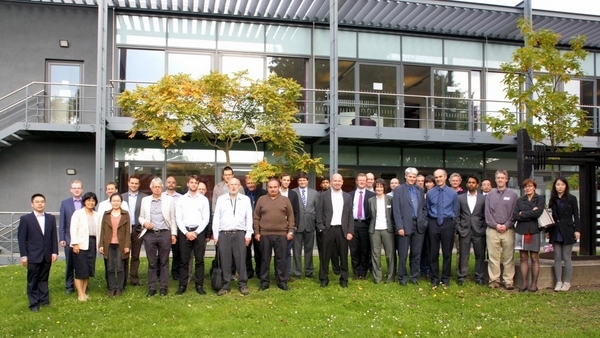 Warwick GRP in Energy has provided the great support to the event. 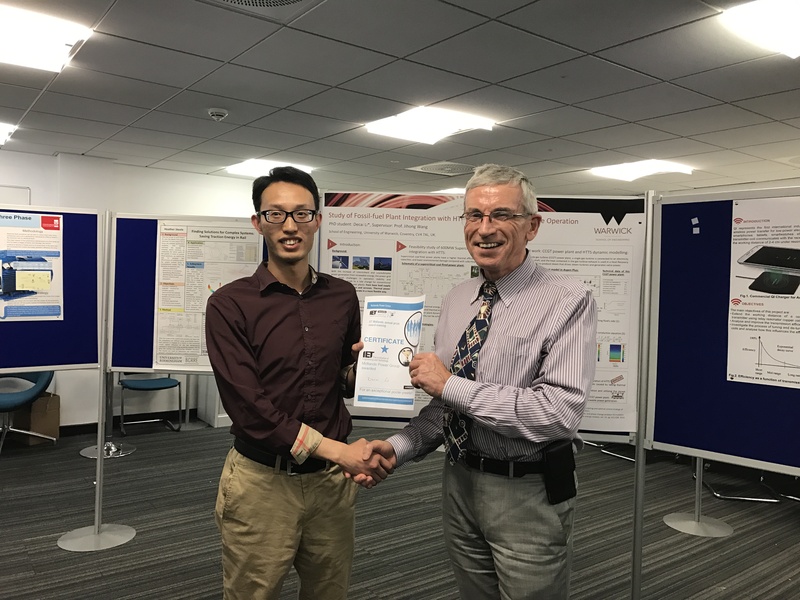 The PhD student, Mr Decai Li, is awarded the IET Prize for her project “Study of Fossil-fuel Plant Integration with HTTS for Efficient and Flexible Operation”. 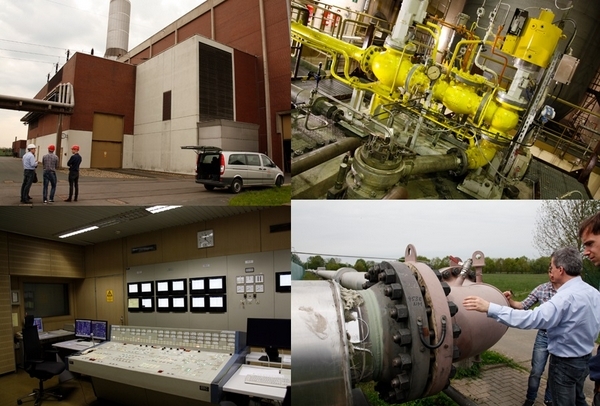 The aim of the project is to investigate a way forward to allow the current thermal power plant including coal-fired and gas-fired power plants to operate more flexibly. It is well know that the electrical power system must be well controlled to ensure the balance between generation and demand. The current load balance is mainly managed through fossil fuel power plants. With the rapid increase of renewable power generation, the power plants need to work more flexibly, respond faster and have more frequent start-ups/shut-downs. This can cause two serious issues: low plant efficiency and low load factors. 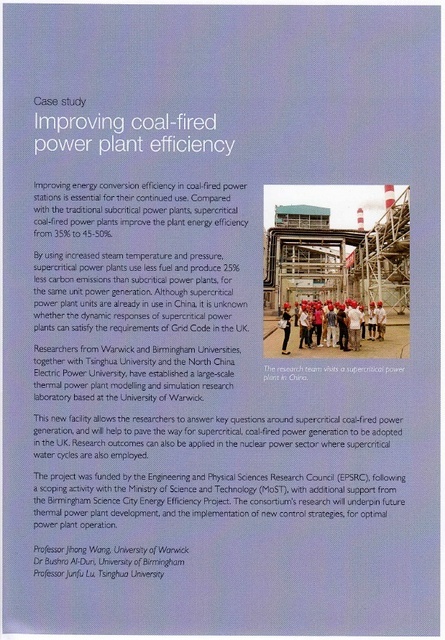 To address these issues, the project poster reports Mr Li’s recent progress in assessing the potential to integrate High Temperature Thermal Storage (HTTS) with power plants to enable the power plant operate more flexibly. The panel was formed by the members from industrial specialists from the companies located in the Midlands area, such as, GE, ABB, Arup, Lucy Automation, TRW and National Grid. 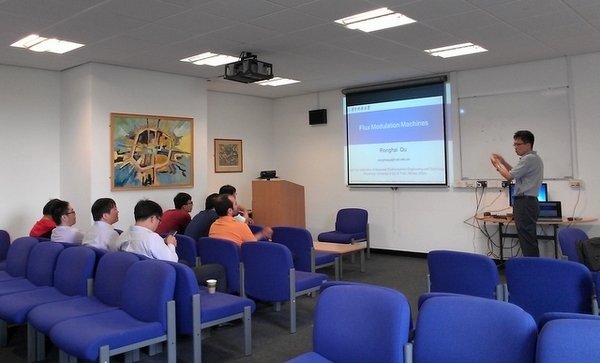 Professor Ronghai QU gave a seminar on “Flux Modulation Machines” from on Friday, 26th June in School of Engineering. Professor Qu obtained his BEng and Master’s degrees from Tsinghua University China and PhD from Wisconsin University, USA. Then he joined GE as Senior Engineer. 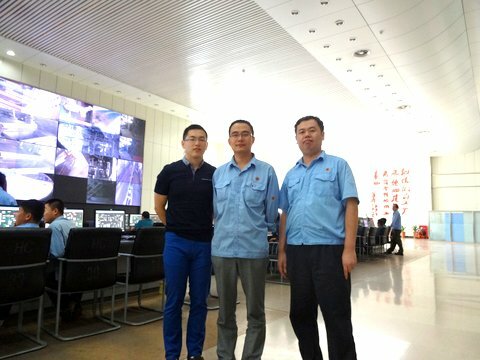 He is now Professor in Electrical Machines and Vice Dean of School of Electrical and Electronic Engineering with Huazhong University of Science and Technology. 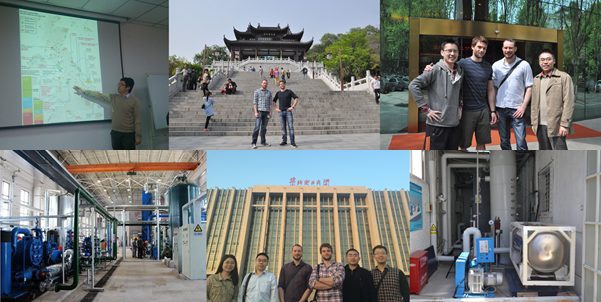 Wuhan and Beijing visit (China). 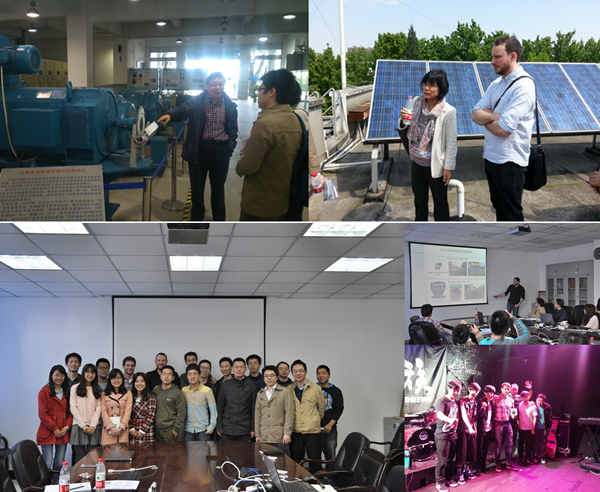 University of Science and Technology (HUST) in Wuhan, YanTu Institute, North China Electric Power University and Compressed Air Energy Storage Research Centre in Beijing. 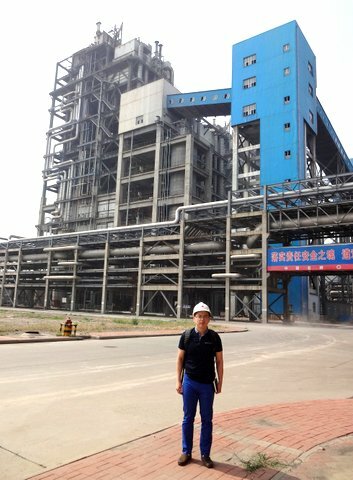 The PhD student, Yue Wang, has visited the IGCC power plant and several coal gasification based poly-generation projects in Tianjin and Erdos, China in Aug 2014. 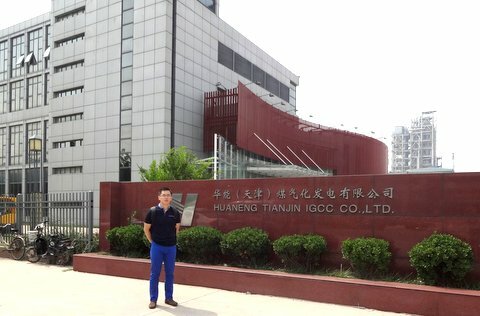 The Huaneng power plant in Tianjin is the first IGCC demo power plant in China with installed capacity of 265 MW, which has achieved commercial running since 2012. The coal gasification based poly-generation plants cover coal liquefaction, naphtha production and hydrogen production, etc. The products include methane, diesel, hydrogen, ammonia, methanol, 2-ethylhexanol, normal butanol, naphtha, acetic acid, soda and ammonium chloride, etc. 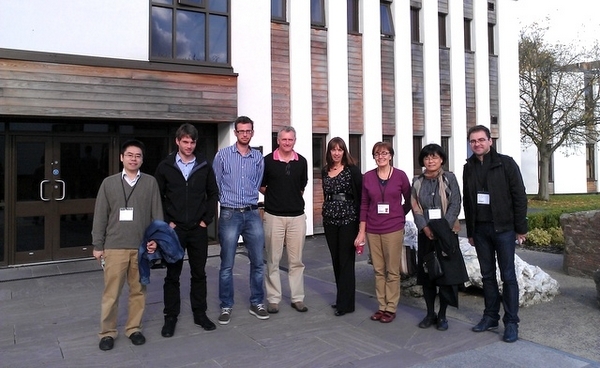 This technical visit is sponsored by 2014 Arthur Shercliff Travel Scholarship. 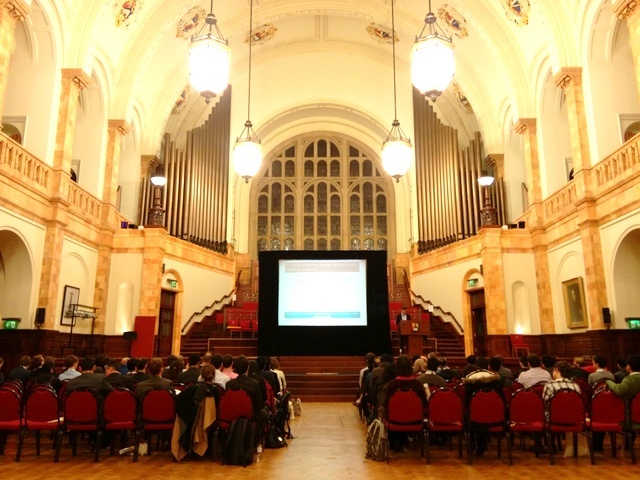 The PhD student, Mr Yue Wang, has won the Best Student Paper Award from the 20th International Conference of Automation and Computing held at Cranfield University in Sept 2014. 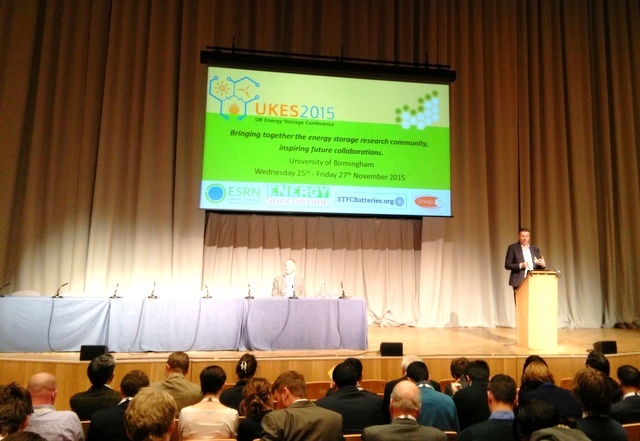 To promote the benefits of the UK-China research collaborations to key UK stakeholders. 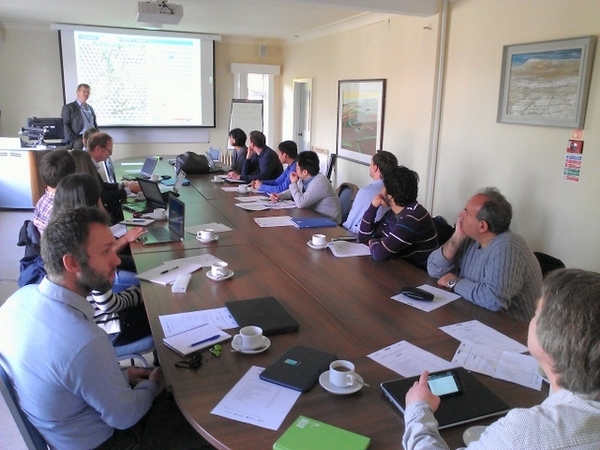 As part of the event RCUK promoted a number of case studies of exciting outcomes, outputs and findings from the suite of UK-China joint energy projects funded to date. 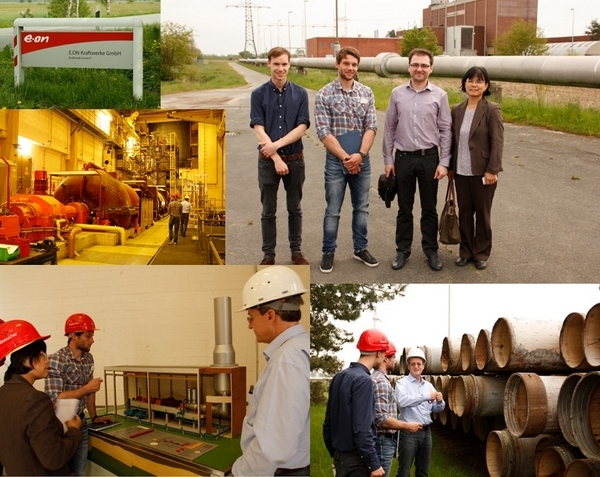 One of the selected projects was ‘Study of supercritical coal fired power plant dynamic responses for Grid Code compliance’ (EP/G062889). 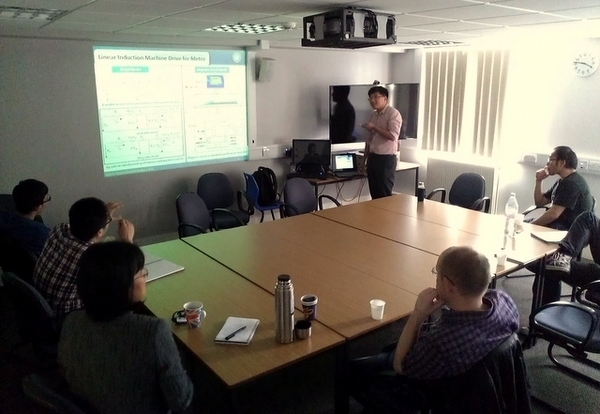 The selected case study was included in the promotional material for the event, and Professor Jihong Wang was invited to give a presentation on project outcomes at the workshop. Bellow you can find a *.pdf file with presentation from this event and a copy of promotional materials.